Surrounded by water and steeped with maritime history, Newport News, Virginia boasts a beautiful nautical culture. Up until the Civil War, Newport News was a small fishing village. And now, it's home to thousands of people and houses one of the largest maritime museums in North America, The Mariners' Museum. 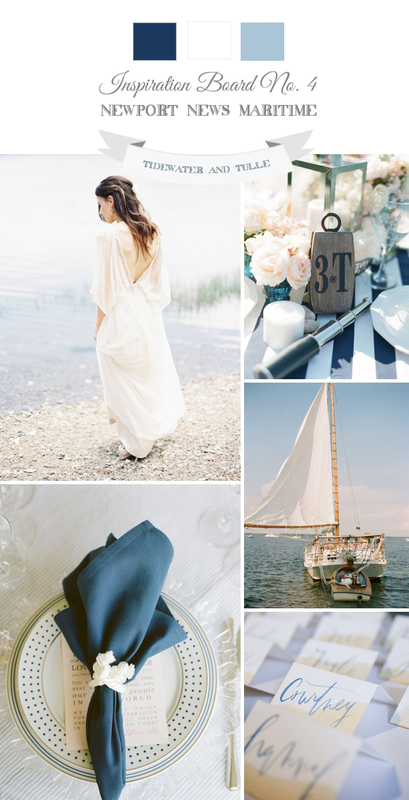 For our wedding connection, you can't help but think of blues and whites when planning a nautical-inspired event! To make the well-loved nautical theme unique, consider different ocean and boat textures like sailboat canvas, captain's telescopes, vintage sail pulleys, and glass plates paired with deep navy blues. And don't forget the Chesapeake Bay Crab an an entrée option!